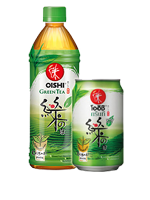 Oishi Green Tea | Non-Alcoholic Drinks | International Beverage Holdings Ltd.
Oishi is the company's market-leading authentic Japanese-style green tea brand, served up in a variety of ready-to-drink bottled and canned packs. 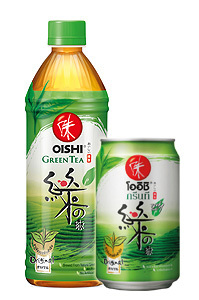 Popular with increasingly health conscious consumers, Oishi is made using the highest quality buds and tips of the tea plant and comes in a six flavours - Original, Honey Lemon, Genmai, Sugar Free, Peach, Black Tea Lemon. Chakulza is the brand's carbonated range.